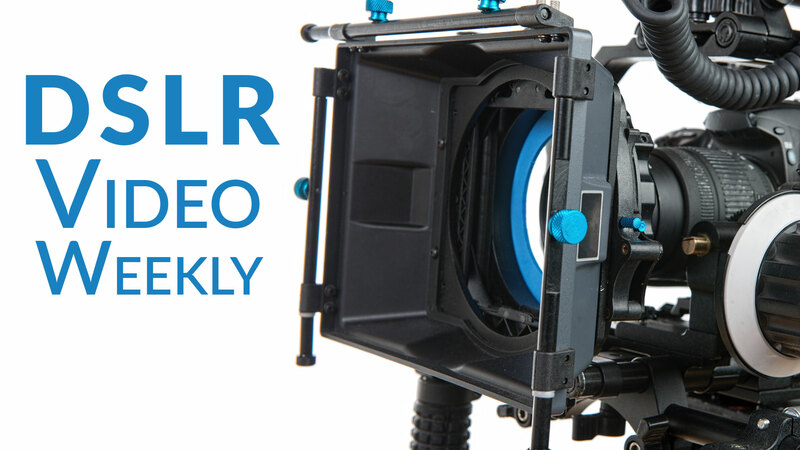 This is article #19 in the DSLR Video Weekly series. If you’d like the whole thing in one shot, check out the book Creating DSLR Video: From Snapshots to Great Shots. Once you get the hang of video, be sure to monetize it by becoming a contributor to Adobe Stock. If you’ve watched feature films, commercials, or music videos closely, you’ll notice that focus is often used creatively to control the viewers’ attention. Sometimes the camera will start out of focus and then slowly roll into clarity to reveal a subject. Other times the camera might rack in-between a person in the foreground to then find a person farther in the background. A driving force in the popularity of DSLR cameras for video is the image sensor superiority these cameras offer. The large sensors allow for greater control in depth of field. When used properly, your footage can take on more cinematic qualities. You’ve likely noticed that the way your camera blurs objects is different than how your eyes behave. In fact, there’s actually a Japanese word for this stylized blurring. It’s called bokeh (pronounced boh-kay or boh-kuh). What’s the big deal? Well, many find the use of blur appealing. It can also be quite useful when you want to keep the focus on your subject and let the background go soft. The blurring often appears most in the brightest areas of an image (such as headlights or small lights in a skyline). However, bokeh can be used to simplify just about any background. Using a prime lens or a very fast zoom lens, you can open up the lens wide. Using a low f-stop (typically f/2.8 or lower) can really bring out a bokeh blur. Using a longer (telephoto) lens, you can compress the action of your shot. Instead of being close to your subject, move further back and zoom in. This can create isolation due to a shallow depth of field. Positioning my subject at the top of a staircase allowed me to compose the shot so there were areas in the background that stretched off into the distance (and became defocused). When setting up an interview, portrait, or talking head, don’t position the subject against a wall. Instead, look for a more open space. Try shooting in a long hallway, a conference room, or even just through a doorway. Stacking the scene works well to create depth. If you’re shooting a large crowd or busy event, tweak the aperture settings on your camera. Open the aperture a bit and set your focus so the front of the group is in focus and the back starts out soft. As people move through the scene, they’ll reveal themselves. If you’re recording two people talking to each other, increase the distance between them. Then try using a zoom lens and adjust your zoom level to taste. This lens will make the two people appear close to each other but set one of the two more out of focus than the other. By zooming in from a greater distance, as well as shooting at an angle, I created a well-defined focus plane for this shot. People farther away are out of focus but reveal themselves as they move towards the camera. As you become more experienced, you’ll want to try rack focusing (essentially change your focus from one object to another while recording). For example, you might want to go from a focused image to a blurry one as an animate transition. Or you might want to keep a moving subject in focus as the subject walks through a shot. Just keep in mind that rack focusing is not easy to do. Modern lenses are actually more difficult to rack focus because lenses manufactured today are designed to autofocus more quickly. To do this, manufacturers set the lens so the focus ring only needs a small turn to move through all the focus positions. This feature is great for shooting stills because it’s much faster to shoot when the camera is in control. But it makes it more difficult for video. For this reason, I seek out older lenses for my video kit. Stopping into just about any local camera store, you’ll find a used department with older prime lenses. Many of these lenses have focus rings that turn almost a full 360 degrees, which makes focusing by hand much easier because the ring is not as sensitive. If you can’t find an older lens that matches your camera (often a problem for Canon shooters due to changes in the lens mount system), you can purchase an adapter ring. If your lens has physical rings to control both aperture and focus, you can use an adapter from companies like Fotodiox or Novoflex. An older Nikon prime lens is attached to a newer Canon 7D using an adapter ring from Fotodiox. Lenses need manual aperture and focus rings to work properly with the adapters. What Is a Follow Focus? A series of gears makes focus much smoother for focus movements during a shot. A follow focus lets you make gentler changes to the focus because of the use of gears. You can actually mark focus points that correspond to positions where your subject stands. This is literally the origin of the phrase “hitting your mark.” As the actor stands in one position, you, the camera operator would focus and then mark the follow focus ring. You both could then move to the next mark and mark that position on the ring as well. If you are an experienced camera operator, you could then smoothly turn the dial and time the rotation to match the movement speed of the actor. Don’t rush out and buy a follow focus right away. It is fairly expensive and takes some time to master. A follow focus works best when you have a second person to pull the focus for you. This is why the devices are used on big-budget projects like music videos and commercials, and not so much for home movies and Web videos. Join us each Saturday for the next installment of this weekly series.